Pre-Made Planter – While somewhat pricey for the amount of space they provide, planters provide a lot of versatility as they can be moved if necessary. In addition, you can keep an herb garden conveniently by your back door. Wood – The old standby, it takes some skill to properly install and adequately finish wooden planters but the result can be truly beautiful and add a nice visual element to your landscape. 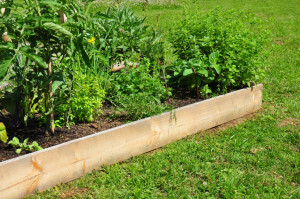 Cinder Blocks – Strictly utilitarian but eminently affordable, cinder blocks can make a relatively large – and deep, if necessary – raised bed for growing vegetables. You probably want to keep it near the back of your landscape, however. For more creative tips from our team of Atlanta landscape designers, please visit us online or phone us directly at 888-210-1116. Outdoor Expressions – Making your outdoor space a place to remember. Commercially-made pesticides and herbicides can be a major expense for the home gardener not to mention their deleterious effects on the environment. More eco-friendly landscapers may want to consider these tips that use common household supplies. Both your wallet and Mother Nature will appreciate it. Plain White Vinegar – Applied judiciously and repeatedly on weeds, this inexpensive liquid will cause the leaves of the plant to “burn” and eventually kill the entire plant. Dishwashing Liquid – Mites and aphids don’t like soapy residue on their food. Add a few drops of your favorite dishwashing soap to a spray bottle, fill with water and apply everywhere you can reach. the bugs will soon head for greener or “dirtier” pastures. Beer, Wonderful Beer – In addition to improving your disposition, beer is a highly effective remedy to garden slugs. A small dish placed on the ground will attract where they will fall in drown and presumably die relatively happy. 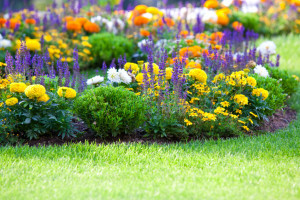 For more information on these and other landscape maintenance tips in the Atlanta area, please visit us online or phone us directly at 888-210-1116. Outdoor Expressions – Making your outdoor space a place to remember. 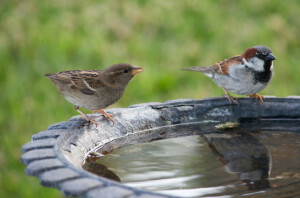 An Auditory Delight – Everyone is familiar with the sounds of birds but it takes time and special attention to pick out the ones that are actually “speaking” to each other. Once you recognize this fact, you will be all the more enthralled. The True Wonder of Nature – Quite intelligent – and able to fly! – birds are like no other creatures on the planet. If you have not seen the intricate maneuvering of a hummingbird or the sight of a mated pair of cardinals, be prepared to be dazzled. For more help in creating your perfect outdoor space, please visit us online or phone us directly at 888-210-1116. Outdoor Expressions – Making your outdoor space a place to remember. It’s Durable – Essentially weatherproof, brick is also immune to wildlife, children on bikes and the occasional stumble by an adult. In addition, if significant damage is incurred, it is quite easily repaired. 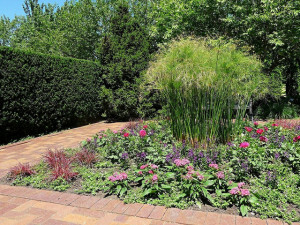 It Adds Color – Bricks come in a variety of colors – albeit, natural ones – but in most cases, they make a pronounced difference to the flora surrounding them. In other words, borders made with them a quite striking. It Can Assume Many Shapes – Due to their small size, bricks are ideally suited for constructing garden borders of any size or shape. In addition, their lack of complete uniformity is a plus in a natural environment. For more info from this commercial landscaping firm in Atlanta, please visit us online or phone us directly at 888-210-1116. Outdoor Expressions – Making your outdoor space a place to remember. Hide the Path – The simple addition of an elevated area or a bend keep the visitor guessing about what’s coming up and heightens the entire experience of walking through the garden. Everyone loves a touch of mystery! Keep It Separated – A low rock or stone wall that delineates the path on both sides not only guides the viewer through the garden but makes it a much safer trip. It can also help mitigate weed invasion or the spread of one plant to another bed. Include a Destination – Adding a gorgeous water feature or a sculpture at the end of the path creates closure for the visitor – and it provides an excellent reason to make the journey in the first place. 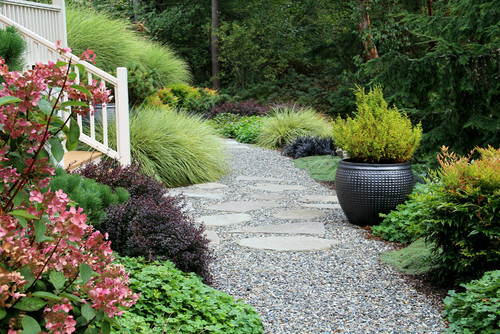 For other, creative tips for adding attractive pathways in your landscape or if you need a commercial landscaping firm in the Atlanta area, please visit us online or call us at 888-210-1116. Outdoor Expressions – Making your outdoor space a memorable place. Shorten the Dimensions – A regulation bocce court is 91′ x 13′ but you can get away with ones as small as 45′ x 8′ if you are planning to use it primarily for a hobby. 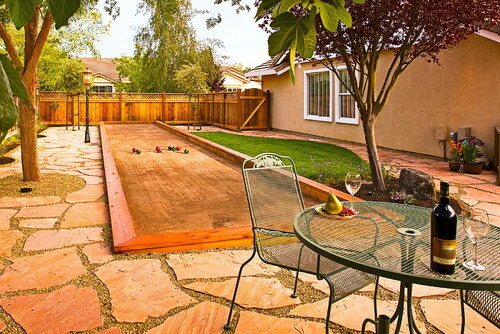 Make It Multi-Purpose – While not ideal, a bocce court makes a great space for entertaining. The downside is that you will have to herd your guests to the side during a party if you want to use it, but this is a small inconvenience in exchange for the extra space in your yard. It is Versatile – A bocce court is really just a rectangular, flat space, so its design elements can be made to fit in with any landscaping plans. For more information on bocce ball courts or if you are already looking for a commercial landscaping firm in Atlanta, please visit us online or phone us directly at 888-210-1116. Outdoor Expressions – Making your outdoor space a place to remember.